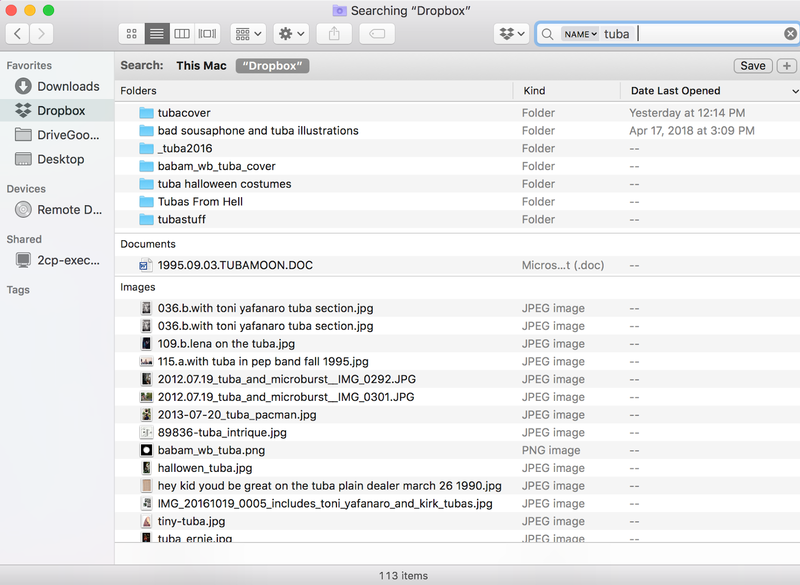 I find it ironic that the MacOS file management program is called "The Finder" because finding files (like, with a search) is not really one of its strengths. It's easy to sort by location, which I find useful in many cases. If you don't mind paying $8 or so some people prefer Find Any File, which offers a hierarchical view. Heh - one of my first big tech rants was in 2004 when Windows switched to a sidebar integrated search vs the previously perfectly serviceable standalone mini-program. For Mac too, I find the habit of having just the same kind of display for search results as for folder contents as being a bit of a misthink. Some people (not me in particular, but I was stuck on Windows til 2013) long for the old old days of Mac, where there was only ever one window for a folder, and it would remember its location etc. It added a certain realness and physicality to the file system, I think.